John is one of the leading consultants in economic development and promotion. He provides strategic support to clients of national, regional and city-based trade and investment promotion agencies (IPAs), Special Economic Zones and trade ministries worldwide. He is also appointed to work on projects of the World Bank, European Union, United Nations and other multilaterals, and has undertaken numerous sector and cluster assessment projects. John created the annual IPA Performance Benchmarking Programme, benchmarking more than 200 IPA agencies globally, and created the IPA Asset Benchmarking Programme in 2006, reviewing the IPA strategic assets of IPA organisations. 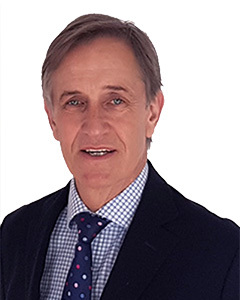 John established the European Academy of Business Development in 2002, providing training programmes which have been delivered globally to more than 3,000 IPA executives and directors. He also devised and led the UKTI IPA Competitor Marketing and Communications Review. John conceptualized and created GDP KnowHow, the online learning platform that provides knowledge, knowhow and best practices to all investment, economic and trade promotion organisations. He established the Zones Benchmarking Programme in 2006, which assesses development and best practices in Special Economic Zones worldwide. Prior to forming GDP Global John was Publisher for Euromoney Institutional Investor, the publisher of Corporate Location Magazine, and organiser of investment promotion Masterclass programmes and World Business Forum. Education: BSc Hons, Biology & Physiology (University of London); Diploma in Institute of Export, Diploma of Chartered Institute of Marketing; MBA – International Strategy (Cardiff Business School). Languages: English (native); Spanish (good); French (fair); German (fair); Swedish (fair).